The World of Wheels returns for its 45th year featuring America’s finest hot rods, customs, trucks and motorcycles, along with special appearances. Tickets are $20. Children 6-12 are $7 (age 5 and under are free). 3-10 p.m., Seaport Hotel & World Trade Center, 200 Seaport Boulevard, Boston. Enjoy a night of colonial merrymaking at Tavern Night at Boston Tea Party Ships. Join the Sons and Daughters of Library for some hospitality in 18th Century Boston. Grab a drink with prominent Bostonians of the day, while saving rustic fare, playing authentic games and more. Tickets are $49.50. Doors open at 7:30 p.m. performance starts at 8 p.m., Boston Tea Party Ships & Museum, 306 Congress St., Boston. The World of Wheels returns for its 45th year featuring America’s finest hot rods, customs, trucks and motorcycles, along with special appearances. Tickets are $20. Children 6-12 are $7 (age 5 and under are free). 10 a.m. to 10 p.m., Seaport Hotel & World Trade Center, 200 Seaport Boulevard, Boston. Join the Luna Theatre for a magical weekend of Harry Potter films as part of its Harry Potter Film Festival happening all month long. Tonight it’s “Harry Potter and the Half Blood Prince” at 11:05 a.m. and 2:15 p.m., as well as “Harry Potter and the Deathly Hallows Part One” at 5:25 p.m. and 8:35 p.m. The Luna Theatre, Mill No. 5, 250 Jackson St., Lowell. Experience your neighborhood's best beers all under one roof. The Norfolk County Beer Festival will celebrate beer made right in Norfolk County, along with live music, food pop-ups, local artisans, games and giveaways. Also during the event, the Norwood Space Center will be hosting an Open Studio featuring the more than 20 artists who work out of the space opening their creative studios to the public displaying both finished and unfinished pieces, which are all available for sale. General admission tickets are $40, VIP tickets are $80. 2-5 p.m., Norwood Space Center, 83 Morse St., Norwood. Country singer/songwriter Walker Hayes takes the stage tonight at House of Blues. Tickets start at $20. Doors open at 7 p.m. Show starts at 8 p.m. House of Blues Boston, 15 Lansdowne St., Boston. 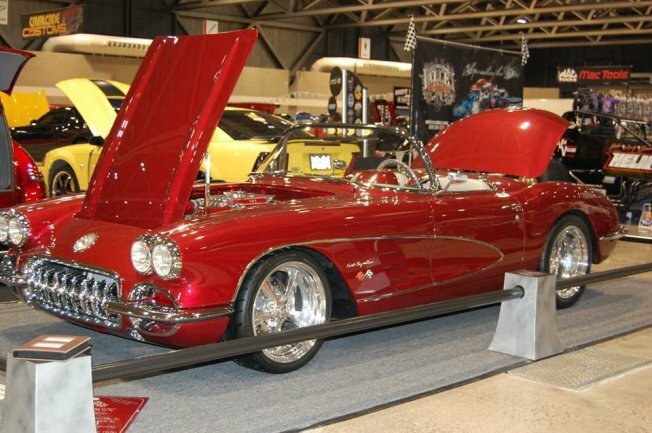 The World of Wheels returns for its 45th year featuring America’s finest hot rods, customs, trucks and motorcycles, along with special appearances. Tickets are $20. Children 6-12 are $7 (age 5 and under are free). 10 a.m. to 6 p.m., Seaport Hotel & World Trade Center, 200 Seaport Boulevard, Boston. Learn how to make pasta from scratch with Law of Pasta and this hands-on pasta making workshop led by Chef Avery. $56-$70. 4-6 p.m., The KITCHEN presented by the Trustees, The Boston Public Market, 100 Hanover St., Boston.